1. The synergistic combination of vacuum roller and conducted RF energy increases the oxygen intracellular diffusion by heating skin. 2. The technology that vacuum folds skin makes RF energy penetrate a specific folded skin, significantly improving effect and safety, even for the upper eyelid area operation. 3. Vacuum plus specially-designed rollers manipulate leads even RF penetration (5-15mm). Meanwhile, vacuum and roller mechanical tissue manipulation nips and stretch fibrillar connective tissue, effectively break down subcutaneous fat as well as extruded capillary vessel, increase lymphatic drainage, promote metabolism and reduce or shrink the size of the actual fat chamber, thereby greatly improving body shaping effect. It uses the strong ultrasonic head to shoot 35,000Hz ultrasonic, after entering the body, will make the fatty cells produce mighty cracking effect and fatty cells friction, effectively exhaust the heat energy, exhaust cells water, let fatty cells shrinking. Moreover, when the ultrasonic vibrates, there will bring mighty impaction among cells, fatty cells will be less, so get effect of fatness removal. 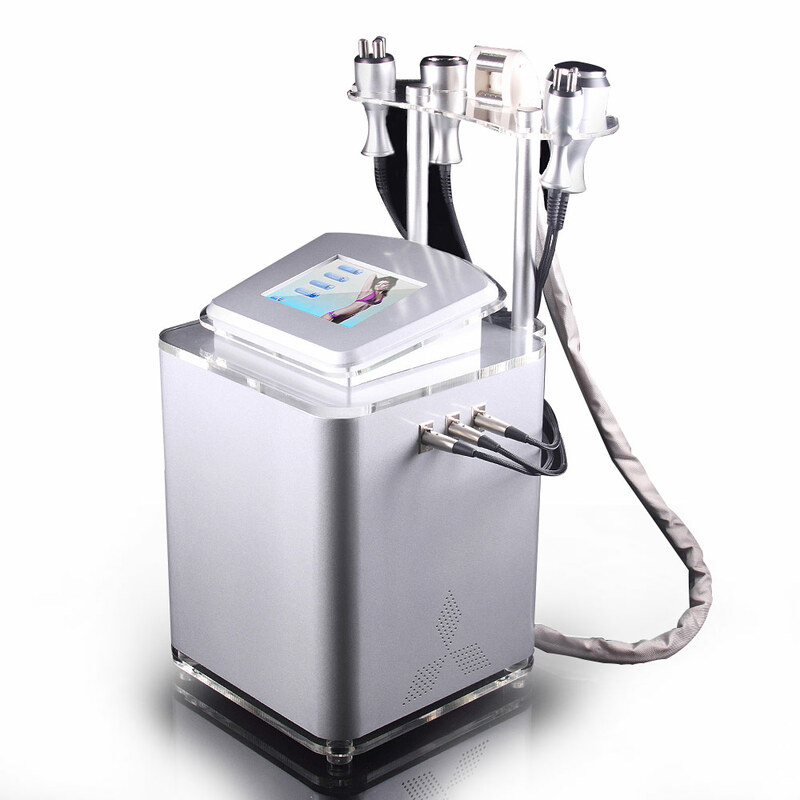 Cavitation Ultrasound 1.0 Handle applies 40KHz waves to make fat cells be exploded and consume calories and moisture, reduce the amount and size of fat cells, thus removing fat and slimming body. It use on buttock, belly and thighs. Big 3-Polar RF Handpiece makes the fatty cells quickly active and produce heat, exhaust the redundant fatness and toxins through metabolism, thus cellulite dissolving and lymph drainage. It use on arms, legs and thighs. Small 3-polar rf handpiece generate 60~70℃ heat to make the papillary dermis collagen immediately shrink and increase, to remove wrinkles, eliminate scars, restore skin elasticity and gloss and make it be blonde and smooth. It use on face and eyes around.